뱀파이어 기사. 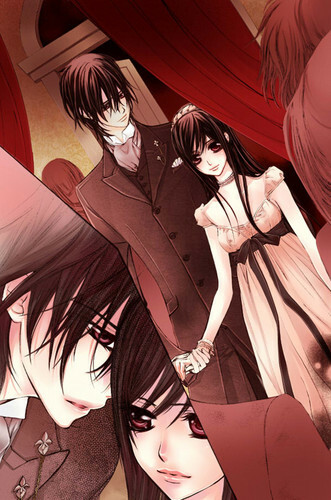 .... HD Wallpaper and background images in the 뱀파이어 기사 club tagged: vampire knight love anime kaname zero yuuki. This 뱀파이어 기사 photo might contain 명예의 신부 들러리, 하녀, 신부 들러리, 하녀의 하녀, 들러리, 저녁 식사 드레스, 저녁 드레스, 정장, 이브닝 가운, 저녁 가운, and 공식적인.